Going on retreat doesn’t remove us from the ups and downs of life, but it provides a way to understand ourselves more fully, to care more deeply for ourselves and others, and to do nothing for a while, with awareness and love. Find respite whenever you need it with Room to Breathe. 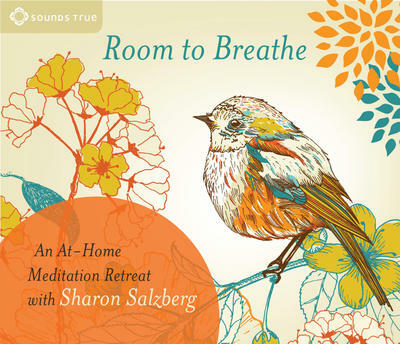 “Going on retreat doesn’t remove us from the ups and downs of life,” explains Sharon Salzberg, “but it provides a way to understand ourselves more fully, to care more deeply for ourselves and others, and to do nothing for a while, with awareness and love.” Find respite whenever you need it with Room to Breathe. Sharon Salzberg has been leading meditation retreats worldwide since 1971. She is cofounder of the Insight Meditation Society and the Barre Center for Buddhist Studies, both in Massachusetts. She is the author of nine books, including the New York Times bestseller Real Happiness.